Having gel nails is all the rave nowadays. 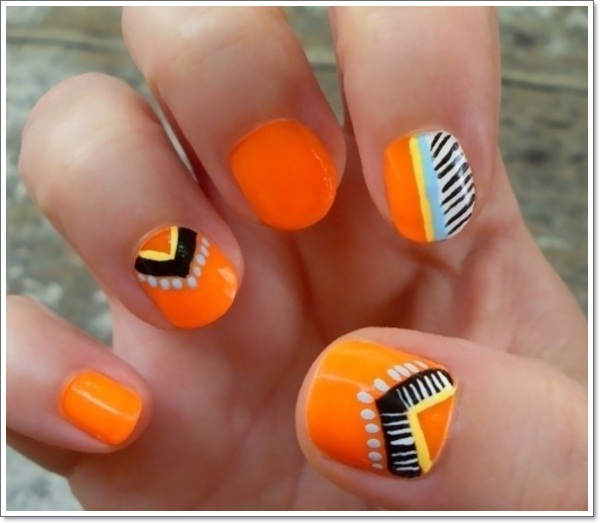 They look great and last way longer than if you were to use regular nail polish. Using gel has been referred to as the “miracle manicure”, and with good reason. 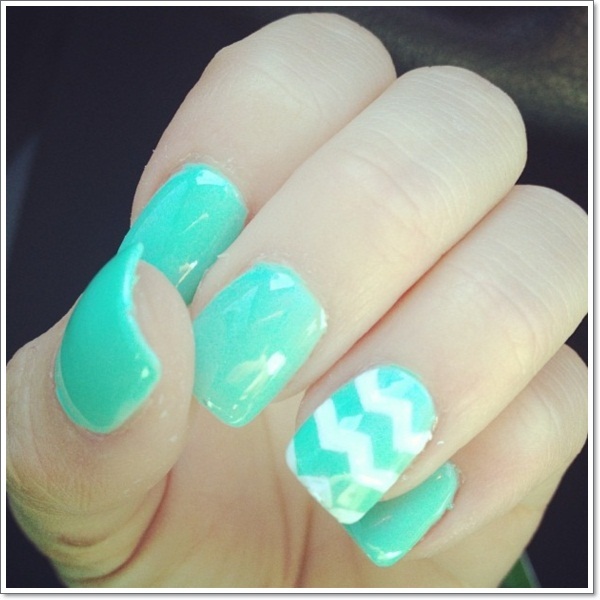 Though gel nails are essentially fake nails, they do look surprisingly natural. There are two types of gels for possible use: hard and soft. 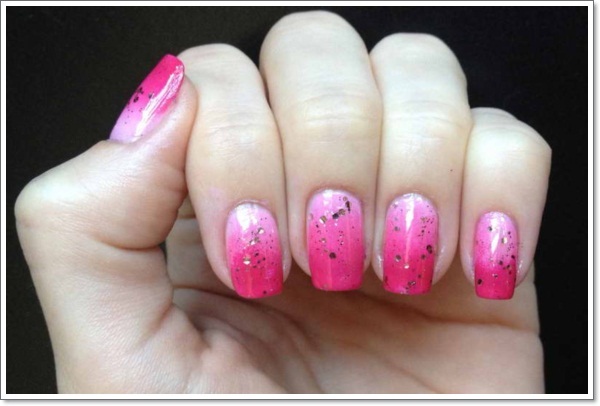 Hard gel is tough enough to create an extension on your nail, whereas soft gel is not. Both are cured under U.V. or L.E.D. light to provide the finishing touch. 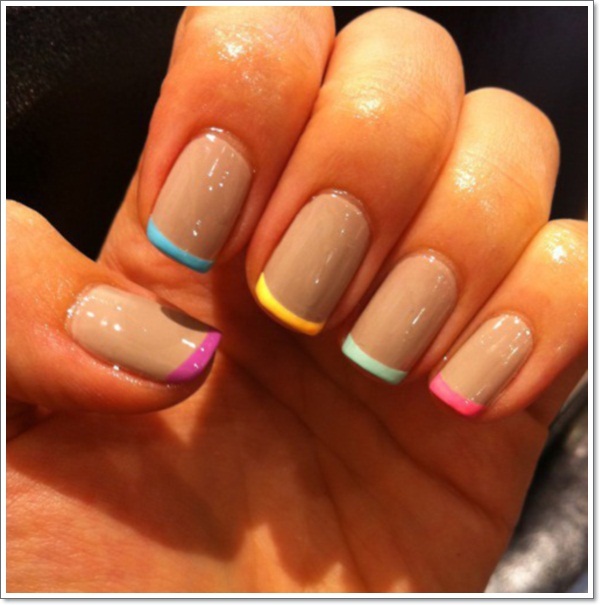 Once cured, the nail color(s) will not chip, smudge, or get damaged for around two weeks, possibly longer. 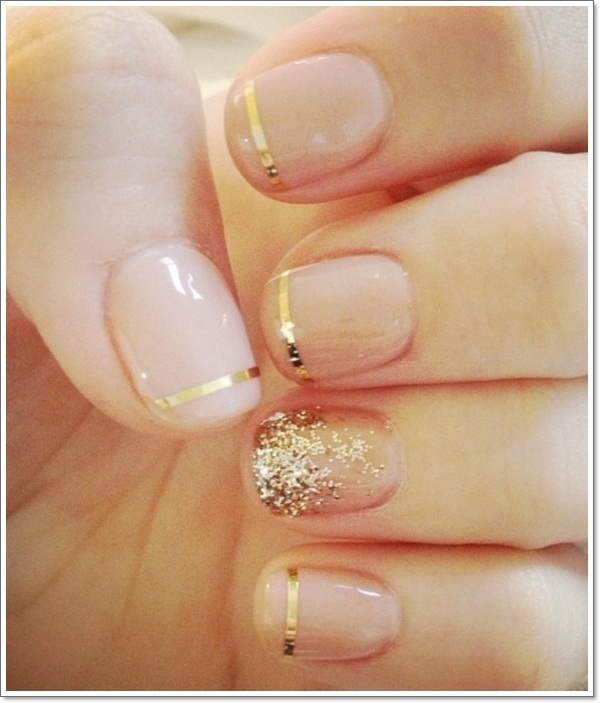 Just because it’s a bit of a process getting gel nails, that doesn’t mean they have to be plain and simple. Of course, you could keep your nails one solid color, and there’s nothing wrong with that, especially if it’s a color that goes with every outfit. However, why not spice things up a bit with some cool designs ranging from simple to extremely complex but awesome! Using gel nail polish works almost exactly the way plain nail polish does, so you can use all your tip and trips that you already know to create your designs. If you don’t know how do to nail art, need some inspiration, or are seasoned and looking for more tips, you are in the right place! First things first, you’ll need to buy or somehow get your hands on a gel nail kit. You’ll want to do your research beforehand by looking at reviews and other aspects that will appeal to you because the kits can run anywhere from $60-$120. The thing with gel nails is that you need a L.E.D. or U.V. lamp to cure your nails after they are painted, and the kit will include that. 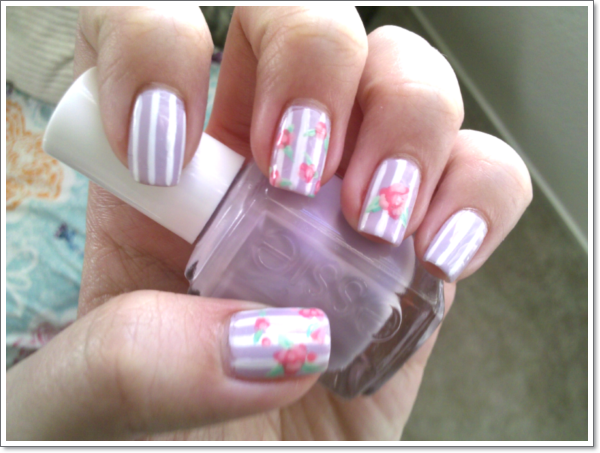 The lamp plus the special gel nail polish is all you need to get started making cool designs. 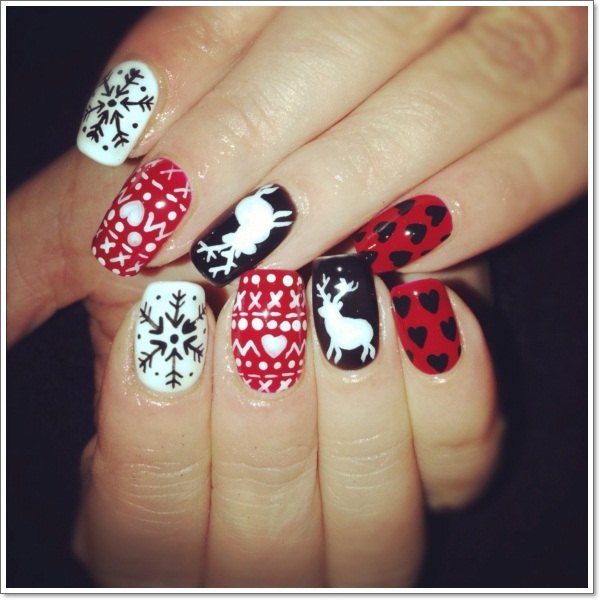 From simple to snazzy, your imagination is the limit when it comes to gel nail designs. Take the French tip up a notch by filing down a side of a toothpick so that one side is normal and the other is a large dot. (Or you could just buy a nail-dotting tool.) 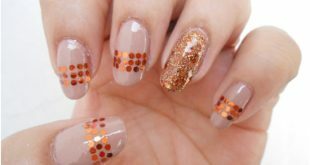 Choose two or three colors that go together and use the toothpick to put large dots above and below the French tip line. Use the regular side of the toothpick to put dots above the line. Overlapping dots also looks good. 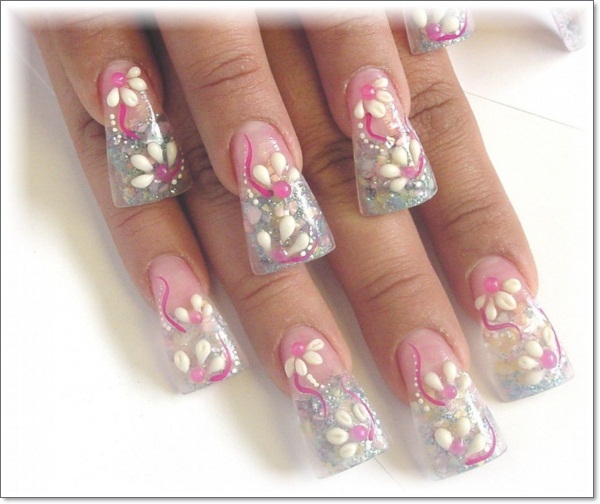 Create simple flowers on either solid or French nails by using a toothpick as the same method as above and create five large dots in a circle in the color of your choice. After 40 seconds, use the other side of the toothpick to carefully drag to the center of each dot. Add a center dot for the center of the flower (glittery silver always works!). Adding small dots surrounding the flower can be a perfect finishing touch. 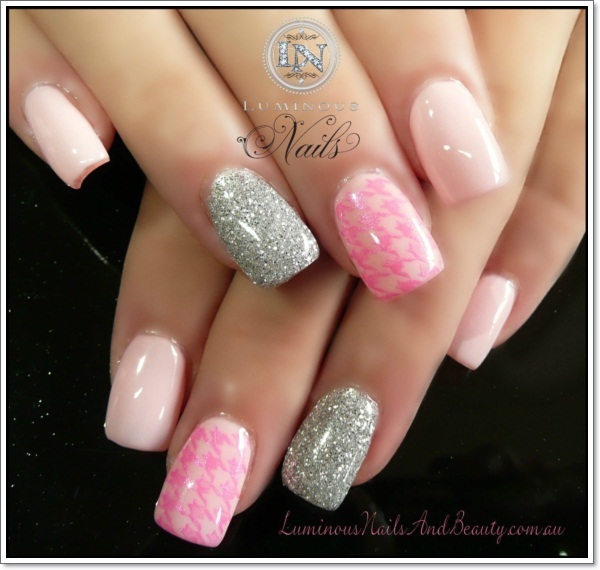 Another simple but very attractive look is adding glitter onto the nail, with more glitter concentrated at the tip and lessening in mass as it reaches further down the nail. 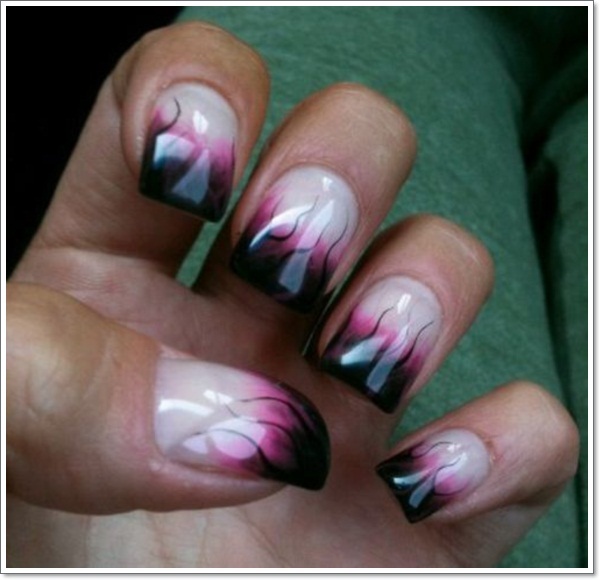 Swirls, pictures, and line designs can be created using nail pens and other nail tools. Stamping is perhaps the easiest way to do nail designs because it only involves transferring the stamp that you bought onto you nail. 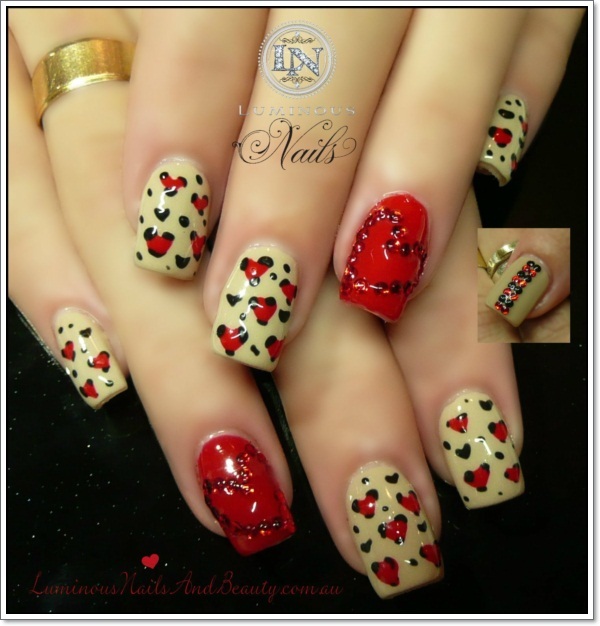 Use rhinestones and other decorative nail material to accentuate your design. One neat idea is to put two blobs of colors on a surface, one underneath the other and use a toothpick is drag the top color down a bit to that they come together and are overlapping but are not completely mixed. 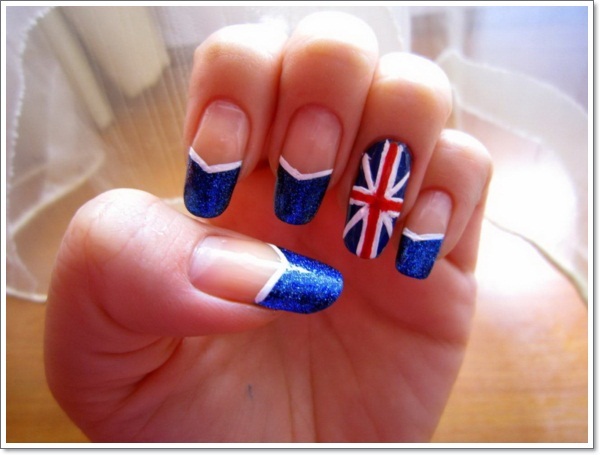 Then take a small sponge and dip it in, and then roll it onto your nail. 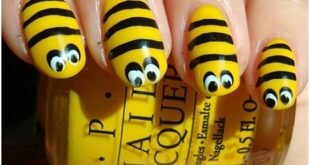 It will be messy and get on you fingers as well as on your nails but use nail polish remover to get the excess off your skin. You will have a two-color effect, one color gradually fading into another. It looks best if you do a lighter to darker color. The key to perfecting gel nails, especially when doing designs, is to apply the polish in coats and cure for a couple of minutes in between. If you really want do things the professional way, there are quite a few steps to follow. 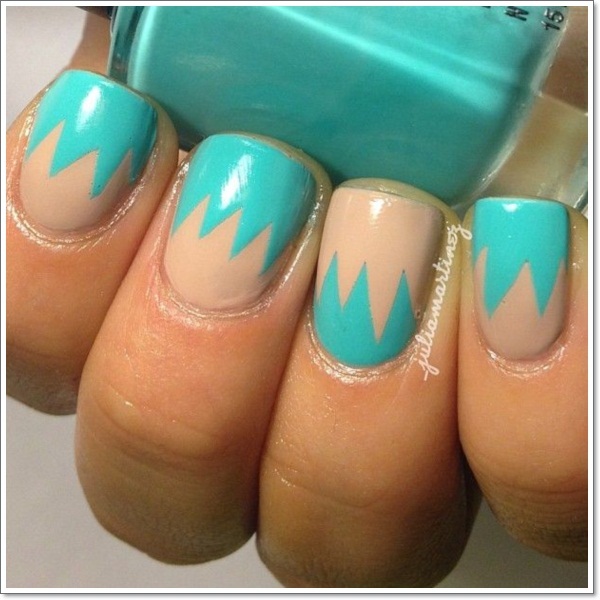 The basic method is to bluff your nails before applying the first coat, then cure. Apply a second coat and cure again. With each new color for your design, cure for about 2 minutes after applying it. At the end, use a topcoat and cure completely. Of course, if this all sounds a bit much for you, then the simple solution would be to go to a salon to get your nails professionally done. 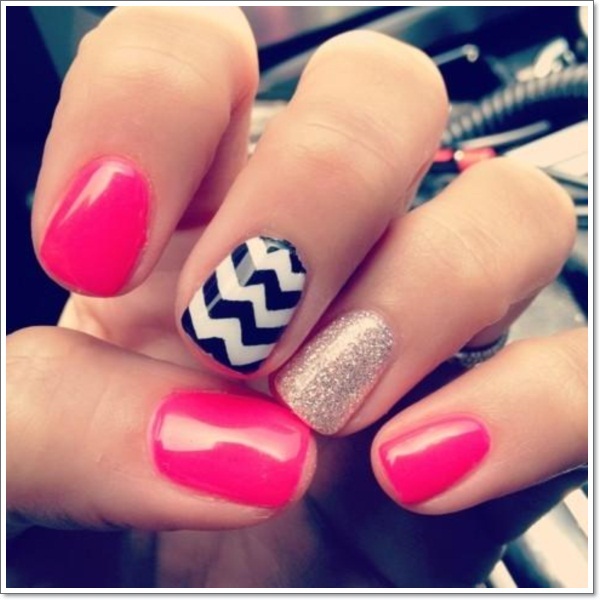 Call ahead or visit the salon’s website that you have in mind to make sure that they do gel nails, and that there is someone there who is good at designs. Word-of-mouth recommendations for salons are usually the best options to choose from. If you do end up choosing this route, you will probably still want to go with a design in mind, whether it be specific or a more broad idea. 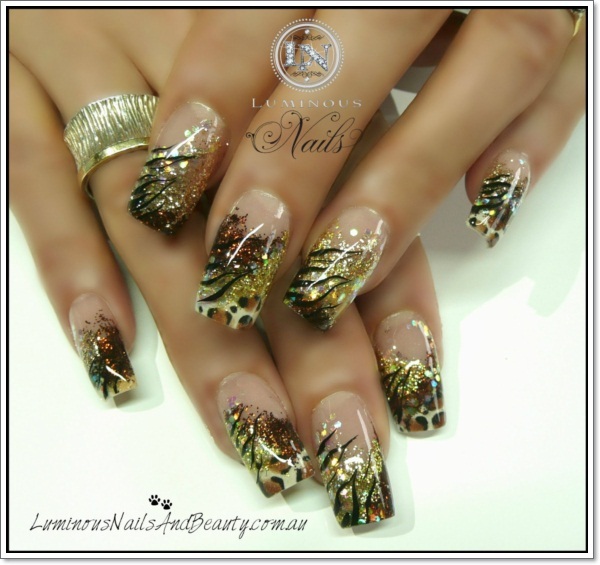 Bringing pictures of what you are looking to get done is always helping to the nail specialist and will also help ensure that you are explaining what you want clearly. However you get your nails done with gel, the end result will be great. Go as creative or as simple as you want and no matter what, you will have a professional looking design that will last for a long time. When it is time to fill your nails, pick something new! 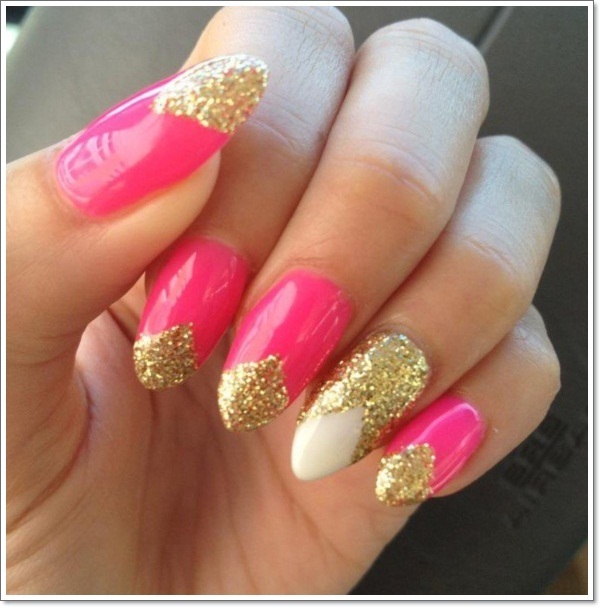 Have fun showing off these chic nails!